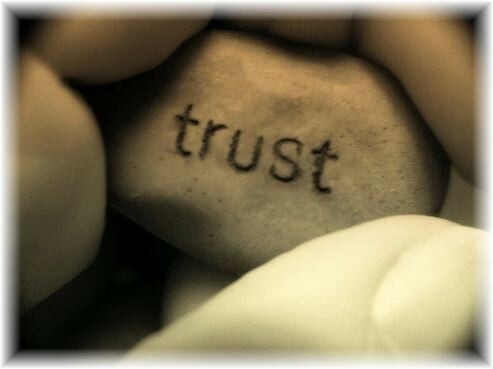 “You do trust God, don’t you?” As I read those words in an email from Michael…it caused me to pause and reflect. Do I trust God in this relationship? I can’t tell you how many people I’ve asked to pray that God would bring me a husband. For so long…I was uncertain…and doubted God. Not His ability to answer my prayers…but His willingness. But recently…my faith and trust in God had grown. Nothing in my life had outwardly changed…but I had a hope that was missing before. I know that my God is more than able…to abundantly answer my prayer…according to His perfect timing and plan. I was surprised that I could answer Michael…that yes I do trust God. In the coming week…I would find out just how true that statement was. God had seemingly opened up a door…an opportunity when I least expected it. Not certain…exactly how it might turn out…I stepped out in faith. Kind of scared…kind of excited to see what God would do. It was last night…or was it early this morning…that when I was faced with the knowledge that this may not be the one whom I will marry…I was filled with peace. I could have so easily been disappointed and asked God, “Why?”…but I didn’t. Instead…I knew I had to trust God. There are no accidents in life…this relationship didn’t just happen. God had a plan and purpose for bringing this godly Christian man into my life. While I might not walk away with a ring on my finger…God has brought me a wonderful friend. One whom I will grow to love and who will be most precious to me. Unlike the past…this time I wasn’t so desperate to be loved…that I would do anything. But instead I’m trusting God in this new territory. I’m thanking Him for the example of a godly Christian man…who demonstrated goodness, kindness, caring and honesty. One who loves the Lord…and desires to obey and follow Him. Through all this Satan wanted me to be angry at God…to distrust Him and His love for me. To doubt His goodness and care for me. To question God’s ability to answer my prayers. But praise God…Satan failed. God allowed this testing for a different reason…the likes of which I don’t fully understand. Thank You Lord…I can truly say…I trust You!